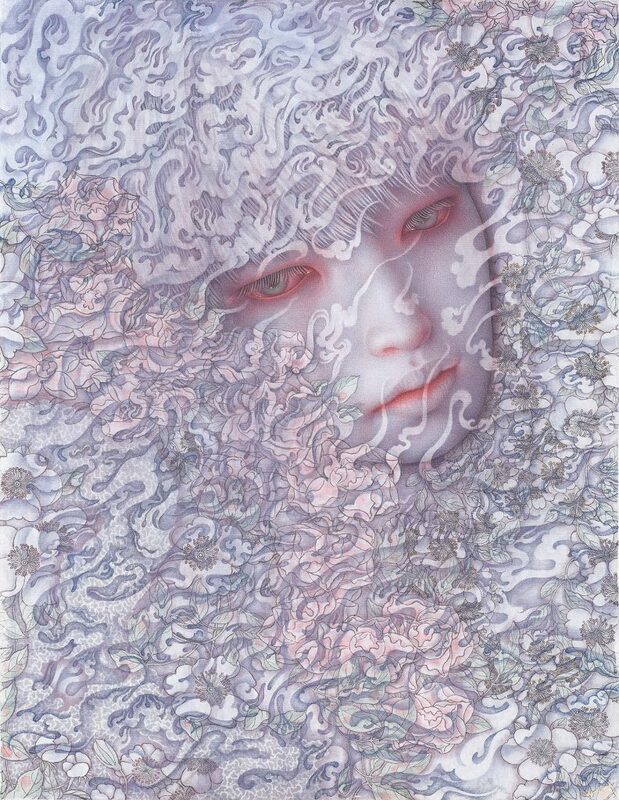 We’re excited to have artist Atsuko Goto’s new body of work as part of our group exhibition Elysium. 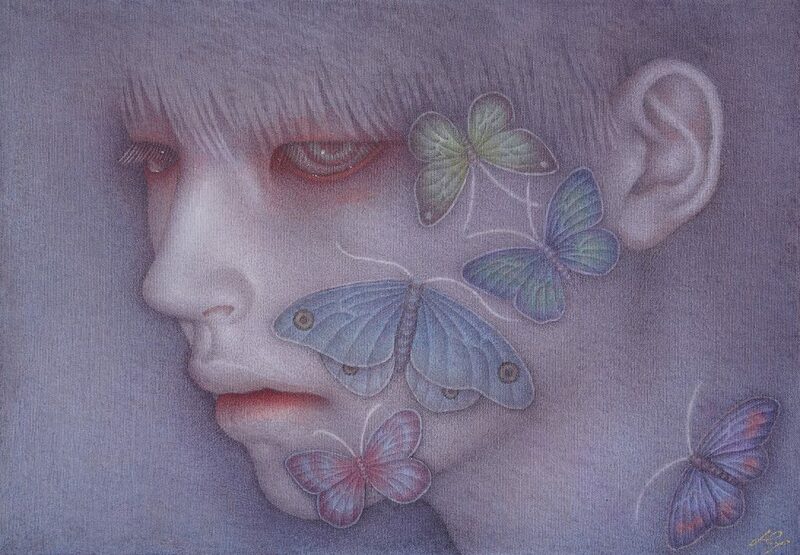 Goto pushes her hauntingly melancholic images and feather like details exploring various techniques found in Asian art. 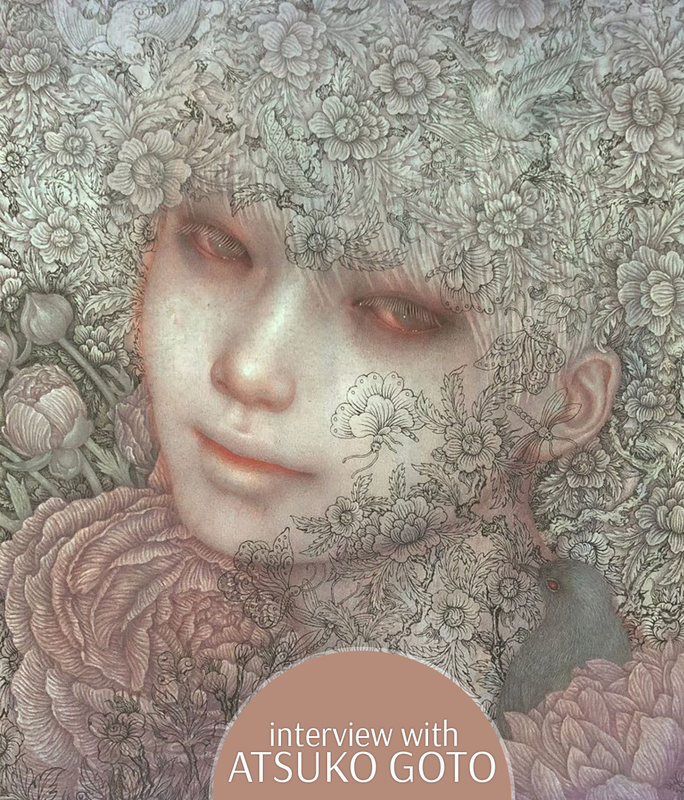 Our interview with Atsuko discusses her post-show plans, highs and lows of the creative process, and studio tools. Join us for the opening for Elysium, Saturday, November 10th from 6 pm to 9 pm. AG: I am recently interested by painter’s point of view and mindset of the old time. 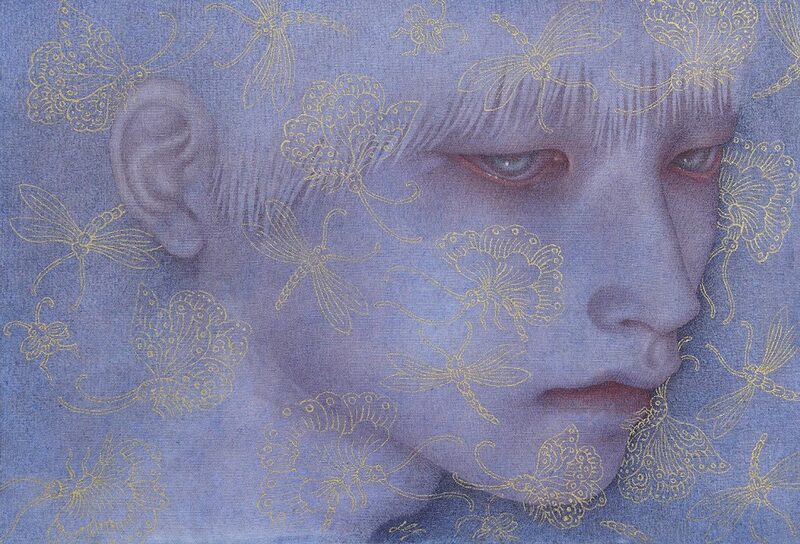 Thinking of that, I drew some elements of old Asian artworks in my paintings, “Mischief of forgotten dreams” series. AG: I often draw paintings watching photos on my PC. But I start to paint before deciding about the final result. AG: When I try something new and I don’t know how it will progress. AG: When I feel that I do always the same things. AG: “Mischief of forgotten dreams I,” When I started this painting, I really didn’t know what I should draw. So I greatly (for me )changed the process and I continued drawing without many thinking. I was uncertain but I also felt excited, because I didn’t know what will appear in my painting. AG: I dream to collaborate with someone from different fields; writer, musician, player…I also dream to be involved with the stage play (theatre). AG: There have been many people and many events impact on me. AG: Pigments, natural pigments, brushes, Japanese ink, glue, Arabic gum and PC (photos, music, movies)…etc. I would like to have a chair that moves automatically into all directions. AG: I try to take some break in order to think about nothing. AG: Their own unique world.